People ask this question a lot at Alpine Cleaning and Restoration. The answer is . . . well, there really isn’t any single answer that is always correct. There are a lot of factors that go into determining how often you should have your carpets cleaned. How often is it used? How many kids do you have? Do you have any pets? All of these questions need to be asked before you can answer the question. To satisfy most carpet warranties, you usually need to have your carpets professionally cleaned once every 8-12 months. This is a good guideline, but it may not be enough. Along with regular vacuuming, professional carpet cleaning will extend the life of your carpets, so don’t neglect it. 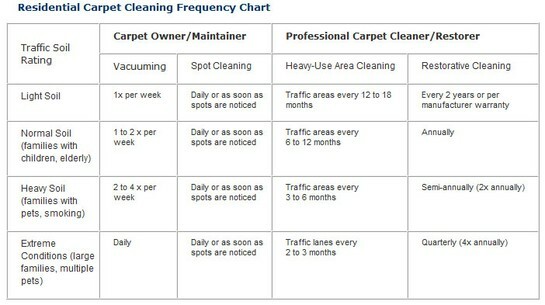 Alpine Cleaning and Restoration Specialists recommend the chart above as a guideline for how often you should have your carpets cleaned if you want them to stay fresh and clean. 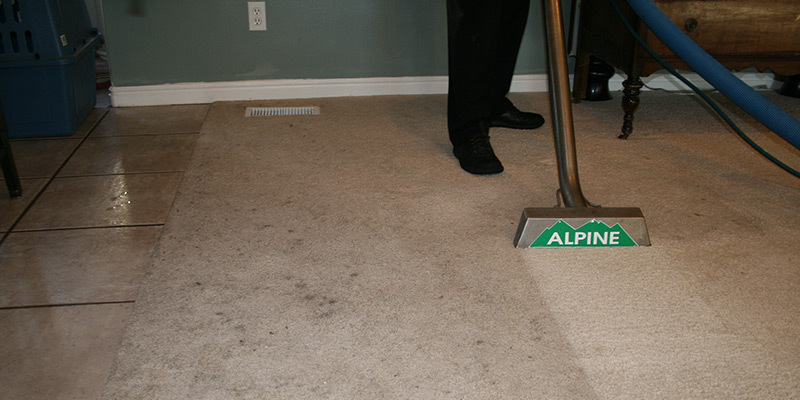 Carpet cleaning is the bread and butter of Alpine Cleaning and Restoration. Our business started with it and we have over 20 years of experience. We pioneered a unique process that helps ensure that your carpets get clean and stay clean longer. With our help, you can rest assured that your carpets will last for years to come, saving you time and money in the long run. If you want Alpine Cleaning and Restoration to help you out, don’t hesitate to get in touch with us. We’re on call 24/7 to provide you with the best service possible. https://www.alpinecleaning.com/wp-content/uploads/2016/05/Cleaning-Stairs-2500.png 288 1500 Bart Caley https://www.alpinecleaning.com/wp-content/uploads/2016/04/Alpine-Cleaning-Restoration-General-Contractors_349px.png Bart Caley2013-08-06 17:47:162018-12-04 12:56:01How Often Should You Clean Your Carpets?